A favorite destination for American vacationers who are looking for a safe and comfortable beach getaway, the Turks & Caicos Islands offer some of the most beautiful water in the world. The pristine waters here have been known to divers for decades, but the islands also offer opportunities for snorkeling and deep-sea fishing for travelers who can pull themselves from the silky sands in front of their excellent resorts. Planning to visit more of the Caribbean? 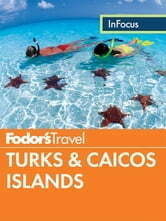 Check out Fodor's Caribbean travel guide. A Tourists Guide to Havana.